The SNC-Lavalin matter has become a showcase for a panoply of media and political attitudes of widely varying levels of justification. To review some of the elements, there was nothing wrong, practically or ethically, in the government providing prosecutorial flexibility in certain commercial cases, permitting the possible payment of a voluntary fine rather than a criminal prosecution. And there was nothing wrong with putting this in a budget bill, which effectively assured that it would be passed without serious specific debate. 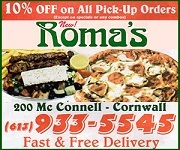 In cases where a business, especially an international business, engages in practices which would be illegal in Canada, but where there is a plausible argument that such measures were necessary to assure a sale and profit the shareholders and secure the employees at no direct benefit to the executives involved nor any cost to the Canadian taxpayer, there certainly should not be a criminal prosecution, and even fines should be assessed with moderation. Thirty years ago, during my brief tenure as chairman of Massey-Ferguson, which was then the world’s third-largest manufacturer of agricultural equipment, it came to light that with some African countries, the company had been asked to overbill in respect of some sales, on the understanding that we would discount the sale price in terms of what we actually collected, back to what we in fact desired to be paid for our product. It did not require the imagination of Jules Verne to guess where the additional money went and to whose benefit, but no one in our company profited a cent, sales were not over-reported, nothing improper was represented as a tax-deductible expense in any jurisdiction and it was just how business was done in those countries. Yet a considerable controversy arose and my friends at the Toronto Star (and some of them are still my friends), became, in Shakespearean terms, perplexed in the extreme. They even confused my predecessor as Massey chairman, Major General Bruce Matthews, with the equivalently distinguished and eminent lawyer, Beverley Matthews (an old Toronto masculine Christian name), and gave Bev Matthews, who had never had anything to do with Massey-Ferguson, a severe wigging for his sleazy business ethics. The political aspect of the discussion settled down quickly when we opened the kimono completely to officials of the provincial treasury and ministry of National Revenue, and I stopped by to see Premier Bill Davis and mentioned that if these sales were seriously discouraged, layoffs in a Massey-Ferguson plant in his constituency would eventually result, and International Harvester, a Chicago corporation, would be the beneficiary. I don’t know the details of the controversial acts at SNC-Lavalin, but no one should be criticized for distinguishing recourse to unsavoury local practices, as in Libya, at no cost to the shareholders or taxpayers and no benefit to executives, from corrupt acts of skimming sales and embezzlement. It is easy for politicians and journalists to take cheap shots at honest businessmen doing what’s necessary to push goods and services in less scrupulous jurisdictions than Canada. We should wait for the facts, and if necessary, the adjudication, before condemning anyone. This does not excuse the government from responsibility for what looks like a very sloppy performance. If the former minister of justice, Jody Wilson-Raybould, was moved to the considerable position (not a free-fall demotion as has been widely claimed) of associate minister of National Defence and minister of Veterans’ Affairs, for resisting efforts by the prime minister or his office to avoid a justified prosecution of SNC-Lavalin officials, the appropriate response would have been for her to quit rather than accept the transfer. By accepting her change of positions, Wilson-Raybould has largely disqualified herself from complaining now about the motives for her so-called demotion (and the Defence ministry desperately needs someone to clean it up and run it properly and secure appropriate funding). If interference with her independence as attorney general or the slightest element of politicization of the administration of justice was the issue, Wilson-Raybould did savage violence to her credibility by accepting to be given the toss out of Justice. It is equally true that the prime minister must have been mad to say to the press that the best proof of the falsity of opposition claims and Globe and Mail questions (that newspaper has not, as far as I can detect, accused anyone of anything in this case), was Wilson-Raybould’s continuation in office. But this still isn’t much of a scandal. If the former justice minister now claims attempted political interference in running her department, why didn’t she quit when it happened? If she does not make that claim, there is no scandal. All the media bunk about corrupt companies too big to fail is hot air; if there was wrong-doing, it was by executives, not by the company itself, and the executives can be prosecuted and replaced, and the company drives on. This is in spite of the mindless and relentless truckling of the Canadian judiciary to the native people for over 30 years. This white man doesn’t have much confidence in it either, but for other reasons. The prime minister should name the ex-justice minister’s father the minister of whatever is the current name of the Indian Affairs department (which Pierre Trudeau promised to shut down 40 years ago). Note: As has been widely recognized, Michael Wilson, the former minister of finance and ambassador to the United States who died last week aged 81, was a capable, honest, dedicated, likeable and talented man. He is one of the very few people who entered public life for the sole purpose of being of help to the country, and who had a successful career there but never, in four parliamentary terms, including nine years as a prominent cabinet minister, attracted a nasty or even a disparaging word from his opponents or the media. He did great honour to all of the high positions he held through almost all of the 42 years of our thoroughly cordial acquaintance. 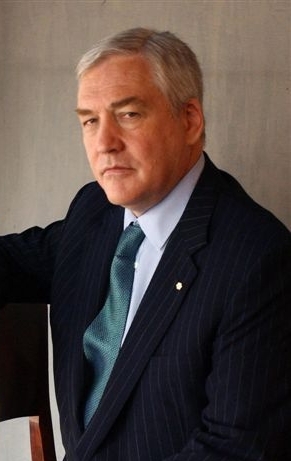 Conrad Black is the founder of the National Post. His columns regularly appear in the National Post on Saturdays. For more opinion from Conrad Black, tune into The Zoomer on VisionTV (a property of ZoomerMedia Ltd.), Visiontv.ca. I find it pretty sad when I agree, for the most part, with Conrad Black. I just re-checked my comments on the piece you referred to. My comments were neither for or against your article. That’s the wonders of the Internet, comments can be misconstrued with very few words / phrases.